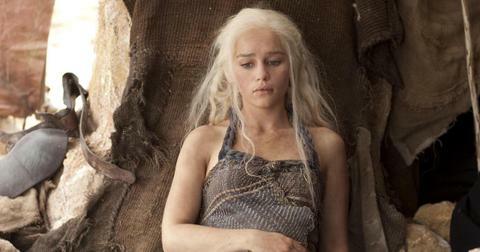 Emilia Clarke has proved she's every bit a khaleesi and warrior in real life as she is on screen. 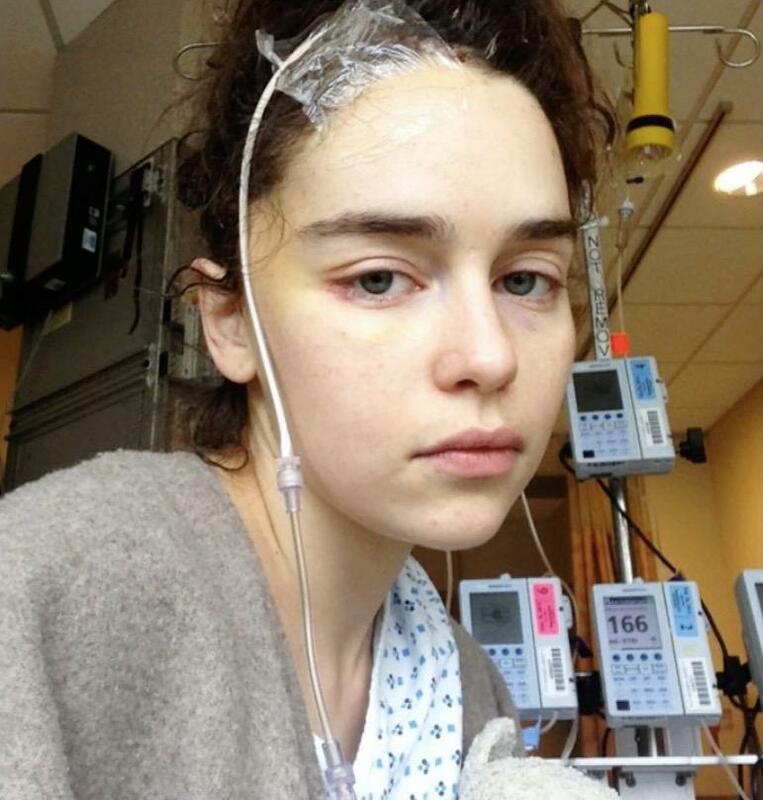 The Game of Thrones actress, who portrays Daenerys Targaryen, recently revealed the life-threatening struggle she faced after Season 1 filmed and two brain aneurysms threatened not only her livelihood as an actor, but her life itself. 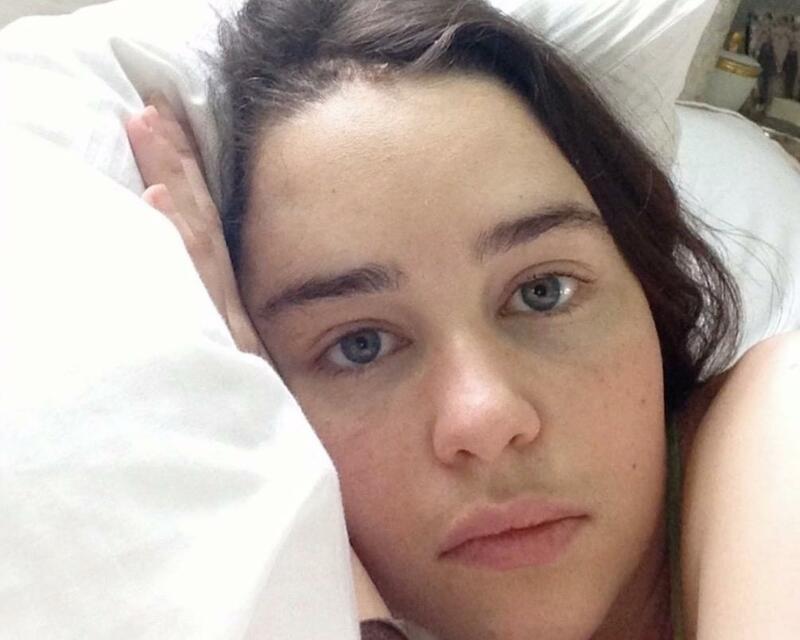 She had emergency brain surgery six weeks before filming began on Season 2. The first of her two aneurysms occurred in the gym, and Emilia described it as "the most excruciating pain, like an elastic band just went, like, snap in my head." Soon after, she realized it wasn't just a bad headache. "I felt an enormous amount of pressure suddenly, and then very, very, very quickly I realized I couldn't stand and I couldn't walk, and in that moment I knew I was being brain damaged." She went on to film Season 2, but she was in constant pain. Clarke suffered a second aneurysm while shooting these scenes. In her New Yorker article about the ordeal she revealed, "If I am truly being honest, every minute of every day I thought I was going to die." And then she nearly did, in 2013, when a second aneurysm caused part of her brain to die and she underwent a second surgery, this time far more grueling. 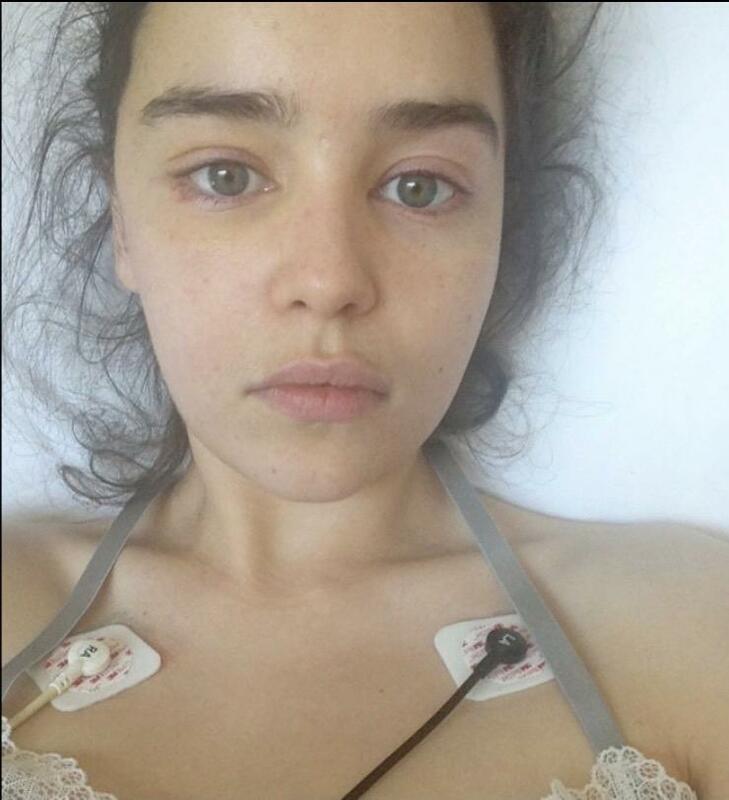 "I looked as though I had been through a war more gruesome than any that Daenerys experienced," she writes about her second surgery. Whereas the first had been less invasive, this one required removing part of her skull." In addition to worrying about whether there would be disfigurement, thus harming her future success as an actor, she also worried even more about cognitive deficits. What if she lost the ability to remember her lines or act? Emilia spent a month in the hospital, and says she experienced the lowest point of her life during her long recovery, in which she felt death looming or a fate worse than death — the loss of her ability to continue her great passion in life. Thankfully, she made a full recovery. Several years since her last surgery, Emilia has a light-hearted and funny take on her brain injury and recovery. She jokes that the only apparent deficit since her last aneurysm appears to be that she has lost her good taste in men. Ouch! She now wants to advocate for other brain injury survivors. The 32-year-old actress has launched a charity called Same You to help young adults recovering from brain injury and stroke. The organizations goals are to increase research in neuro-rehabilitation therapies and increase access to immediate rehabilitation therapy for sufferers of stroke and brain injury in the UK and internationally. She wants to see other patients in the U.S. and U.K. gain access to the kinds of therapies that helped her make such a significant recovery. In addition to her charity work, she's looking forward to her next bold move on-screen. 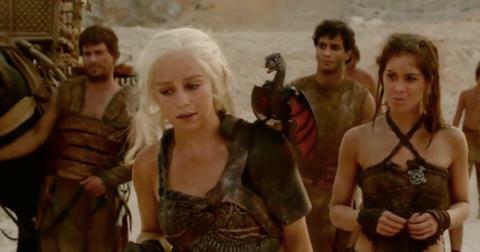 Emilia is definitely not stepping away from the camera. "There's been so much life that I've lived in the 10 years that I've been working on the show," she said in a CBS interview. "So, you're saying good-bye to so much more than just the character. I'm saying good-bye to my twenties!" Thankfully, type-casting isn't a concern for her either. She looks forward to getting the opportunity to play more powerful, complicated women in other projects. "I'm really, really, really lucky because when you're typecast as a strong, empowered female, then you get those roles." Her next role is in a feature film called Above Suspicion, based on the true story of an FBI agent who was convicted for murdering his mistress, the first ever conviction of an agent. She'll also get to show off her comedic chops in the upcoming Paul Feig (Bridesmaids, Spy) holiday movie Last Christmas. 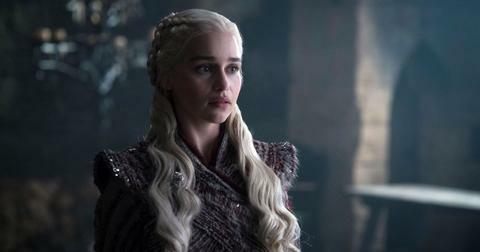 The final season of Game of Thrones debuts Sunday, April 14 at 9 p.m. on HBO. Will Jon Snow and Daenerys Targaryen's Love Survive 'Game of Thrones' Season 8? Will Tyrion Betray Daenerys in 'Game of Thrones' Final Season?